This summer has been hot!! Being from South Georgia means that our Summers are no joke!! 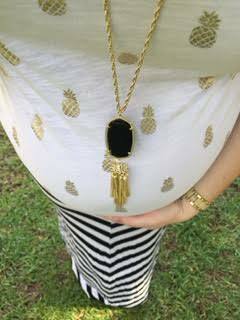 Being pregnant has meant that I am even hotter than usual and just stepping outside can take my breath away. It is for this reason that I have been living in my maxi dresses!! When I think of comfort, a maxi dress is one of the first things that come to mind. I love their breath-ability, versatility and how simple they make getting dressed in the morning. I am also to the point that not much else fits so it is nice to know that I still have those as an option. I wanted to share a few of my maxis looks with you all. The great thing about each of these dresses is that they are not maternity. Most were purchase just a size larger so I will be able to wear them post-baby as well. 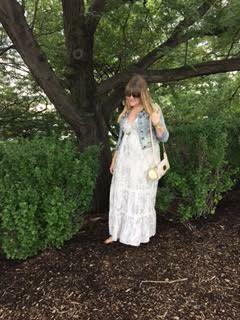 I feel that it is ok for a maxi dress to be a little big so I will be able to keep these items in my wardrobe to use again next summer! This maxi dress was purchased from Target. I love how it can be dressed up or down. In the first outfit I paired it with a black blazer for my best friend’s rehearsal dinner. The second outfit was just a weekend shopping with friends. The material is so soft and it was super flattering on my bump. The white color also makes it super versatile so I was able to use a wide range of accessories! This dress was also purchased at Target. It was another dress that could easily be dressed up or down! In the first picture, I paired it with a crochet shawl, clutch and loose curls for a beautiful look for my Birthday. In the second photo, I went with a denim jacket for a day of sight-seeing in Chicago. 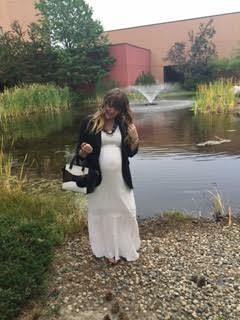 This was a maxi dress that I had in my closet before I even got pregnant. It was purchased from Forever 21 for $10!! You should definitely check out their basics when you get the time because the prices are well worth looking through all the racks. For this look, I tried a little something different. I went with a button-up instead of a jacket or cardi and I changed it up by knotting the ends. This gave me a unique looks instead simply tying at the waist or letting hang free, and it gave my belly plenty of room! For accessories, you can never go wrong with a statement necklace! The final maxi look was with a maxi skirt instead of a dress. This was also a piece that I already had in my closet so I am glad that I was able to put it to use. I bought it from GroopDealz and it was a steal for under $15! 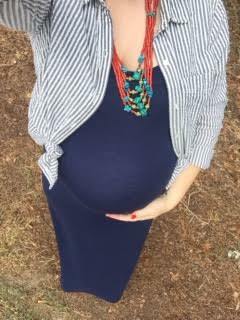 I paired the skirt with a fun tee for a little pattern mixing and finished the look off with my Kendra Scott necklace! These looks are just some ideas but I hope they get your creative juices flowing for how to work your maxis. Looking nice doesn’t have to take a lot of hard work! 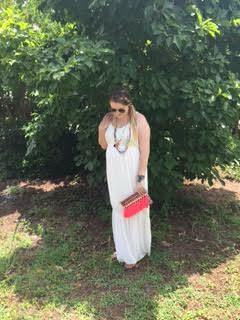 A soft maxi is super easy to wear, comfortable and can still make you look like a million dollars! 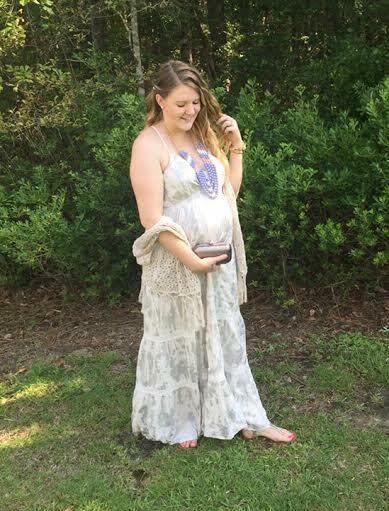 I would love to hear how you style you maxi dresses! Let me know in the comments below!